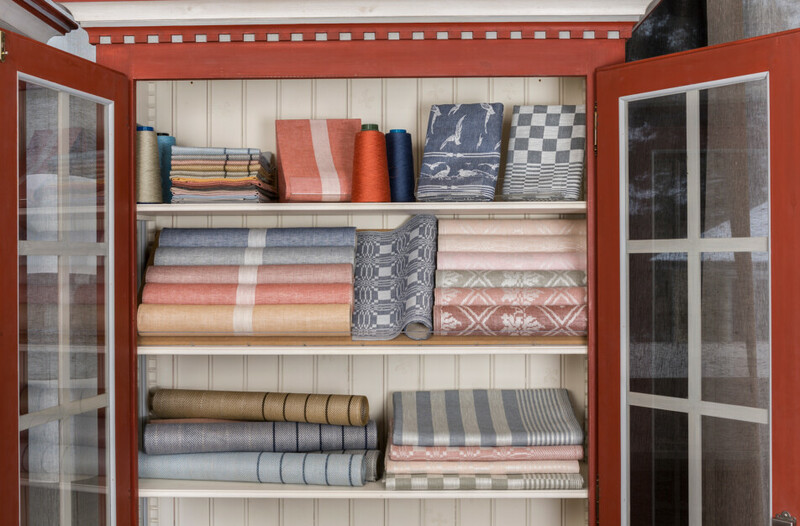 Klässbols holds a bonanza of unique patterns which are created over a long time. It’s a mix of classic ones like Gästabud and Schackrutan together with more recent like Gåsöga, Bada, Norrland or the latest launch Sjumilaskogen. They all have in common high quality, skilled craftmanship and the weaver’s concern about the fabric. The new world of colors is a development work which will answer questions like: what is needed today and what will last in the future? 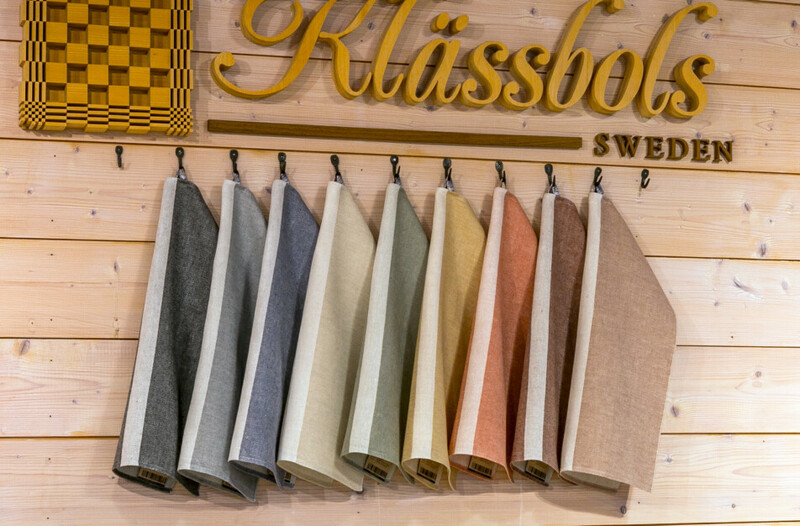 Now Klässbols presents its latest great launch which features a new world of colors. 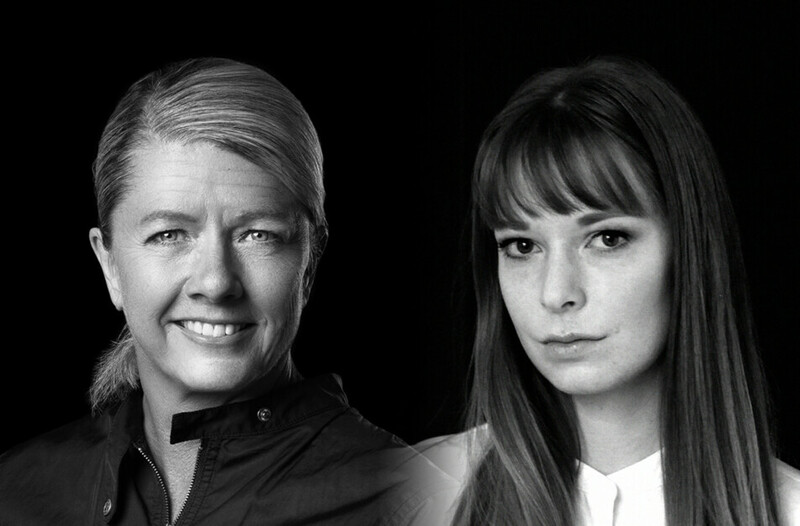 A total make-over of the entire collection has been done in close cooperation with the well-known designer Lena Bergström. A library of colors has been created as a base for the present and the future. The long-term work is based on families of colors which have been brought from nature and other things that affects it. These basic colors will last, while the accent colors will change as time goes by. The ongoing color work has lasted for almost three years. It has been one of the greatest challenges in our nearly 100 years of history. 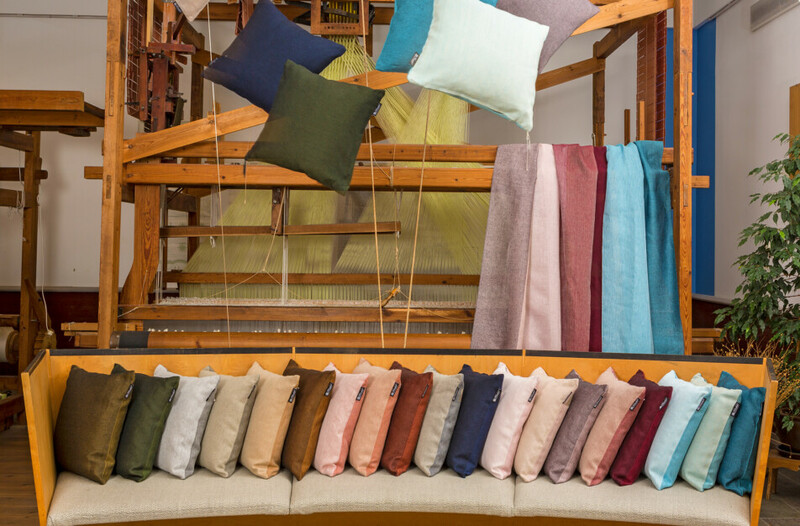 Never before has the weaving mill made a similar makeover of its collection. 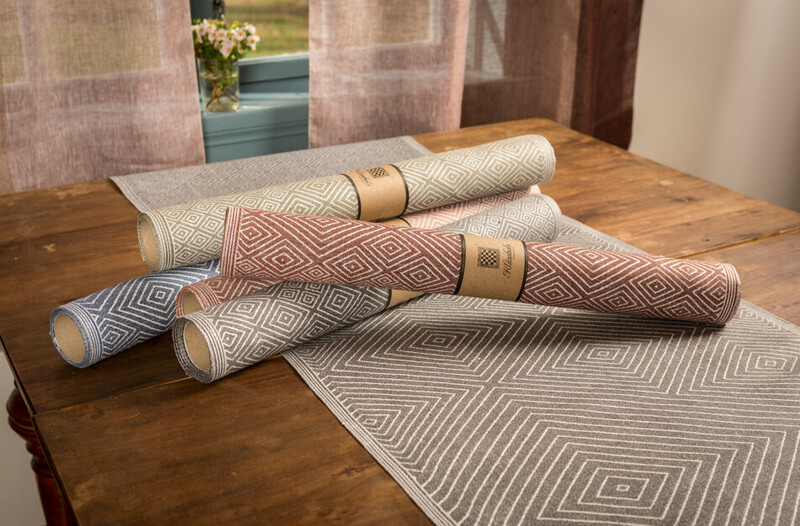 Several of our most classic products like Schackrutan, Citron, Stavnäsrutan and Fiskmåsen will get new life with the new colors. Some will be removed to leave room for entirely new products like Demi and Trecolore. All colors will not be available for all products, but the color pallet will have an impact on most of them and will be gently allocated where it suits best. The intention of this new world of colors is to connect the products to each other and thereby facilitate to match them with each other better than ever before. 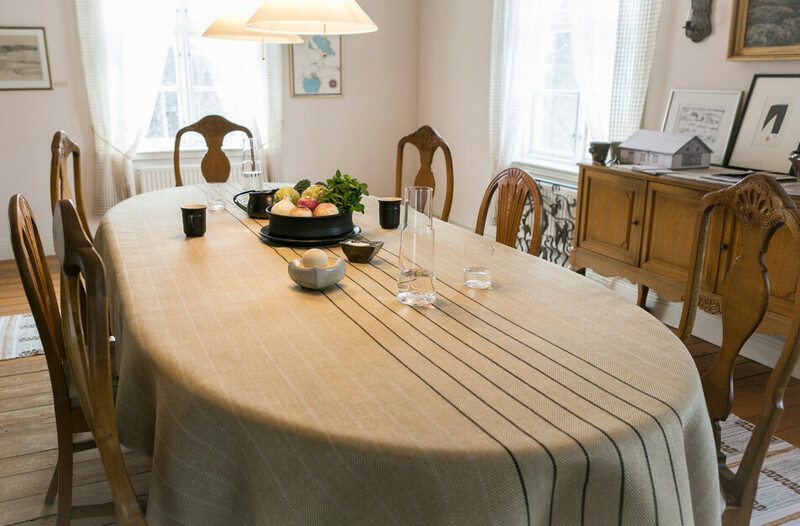 If you for example choose a lightblue tablecloth, there will always be similar color tones in other products. You should not feel restricted, but it should be possible to change, take away or add without making impression or change too strong. Klässbols Linneväveri welcomes you to our new world of colors and ask the question -what colors are you? Demi and Trecolore, new products at Klässbols Linneväveri. Demi and Trecolore were the first products to come out of the new color world. 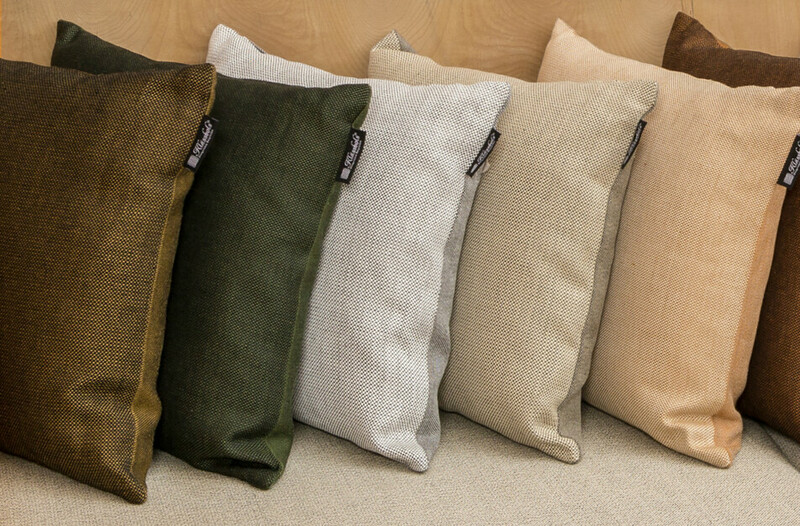 Demi is a new pillow series in the interior design segment, designed by Lena Bergström. 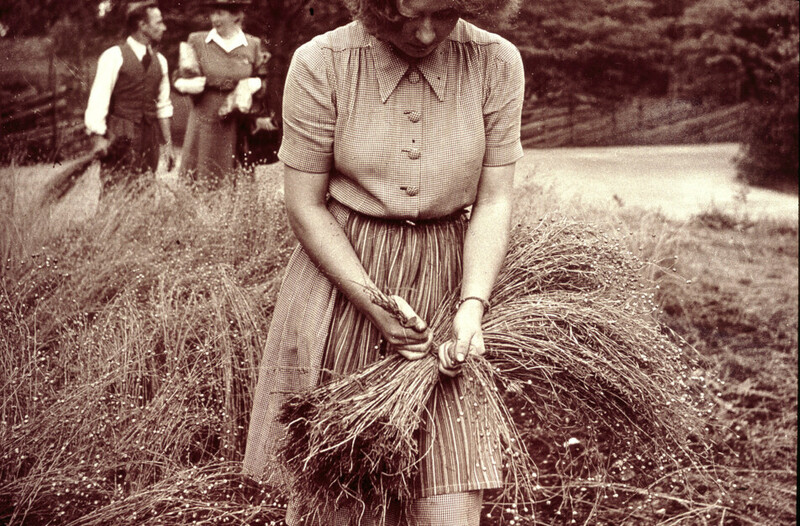 Demi is a fine example of how the expression can vary through different weaving techniques. 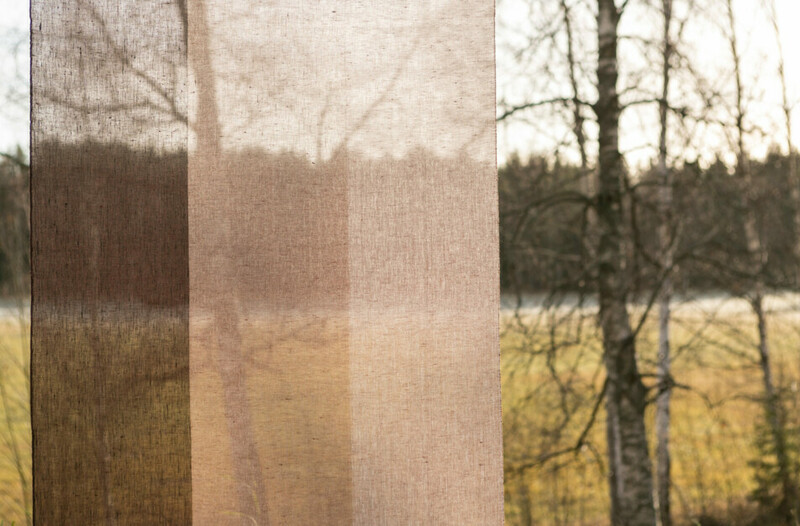 Lena Bergström explains: “On one side, the binding is the tissue satin. In this one you see the weft yarn even more. On the opposite side, the bond is panama, which gives a more equilateral expression. 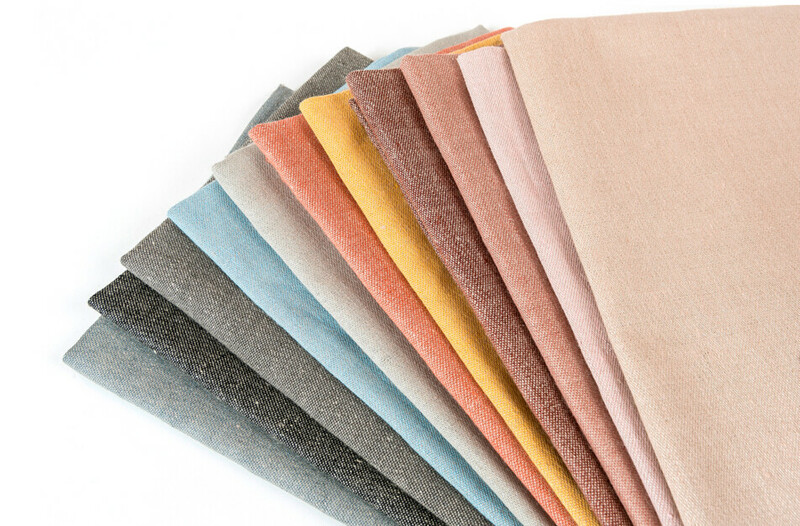 The result is a textile that is perceived as solid color with a different structure. It gets more “body” in its expression “. 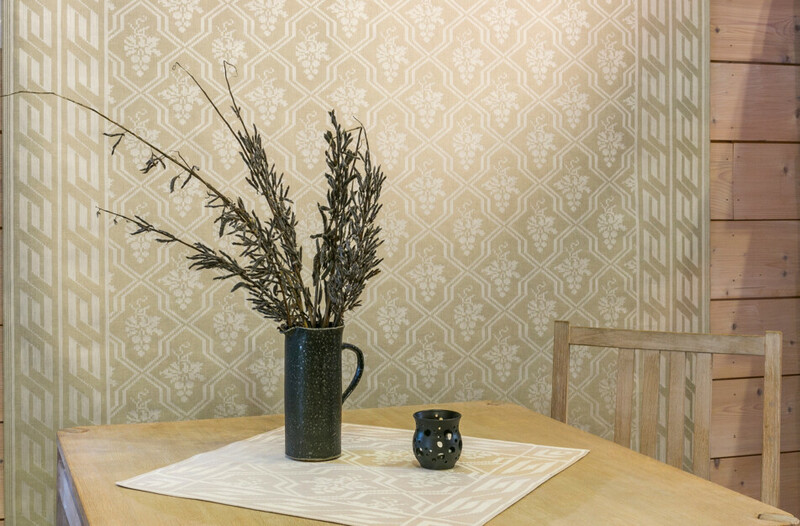 Demi is a nice addition to the previous range in the interior design segment of Klässbols. A grateful product to change the expression in the room with simple means. Classics get new life with the new colors. 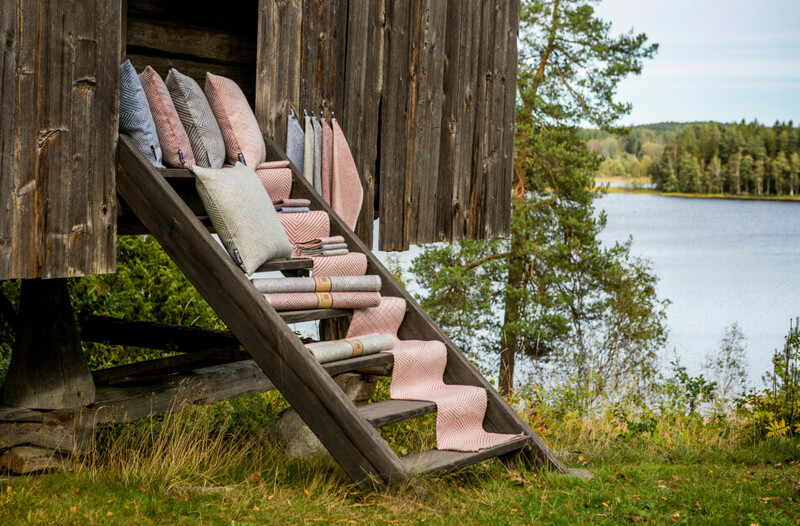 It is fully weaved in the weaving mill and not only new products are produced without classics such as Daldräll, Fiskmåsen, Citron, Schackrutan, Grape Klasen, Linjal and Gärdet get new life with new selected colors. Old classics get new life with the new colors. 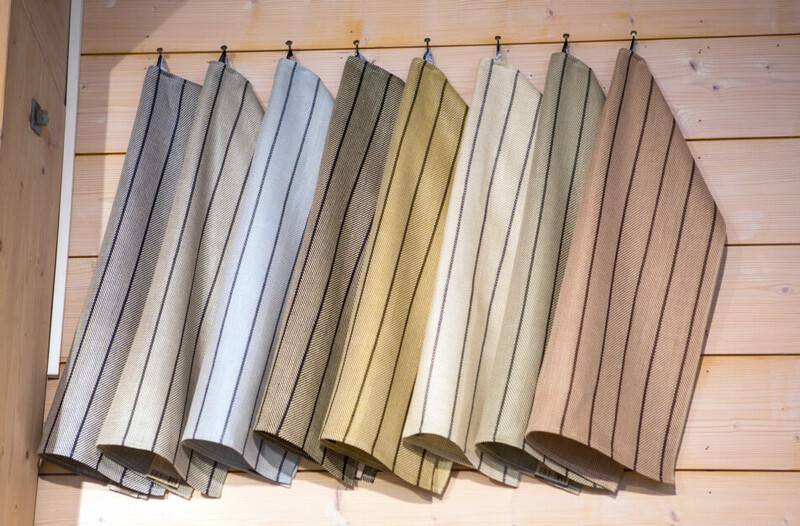 Here we see vi Daldräll, Schackrutan, Citron, Gärdet, Linjal, Fiskmåsen, Druvklasen and Satin. The “new” ruler hangs on the wall of the store in Klässbol. Likewise, Gärdet does with its chosen colors. … If you have your favorite colors since before then you can now get them in new vintage with new color names. For example, a blue is today called “blue jeans” and differs slightly in the color. The canvas The grape bunch is a real classic and also has it many years on the neck and has been in many colors. Why not use it as a wall decoration? 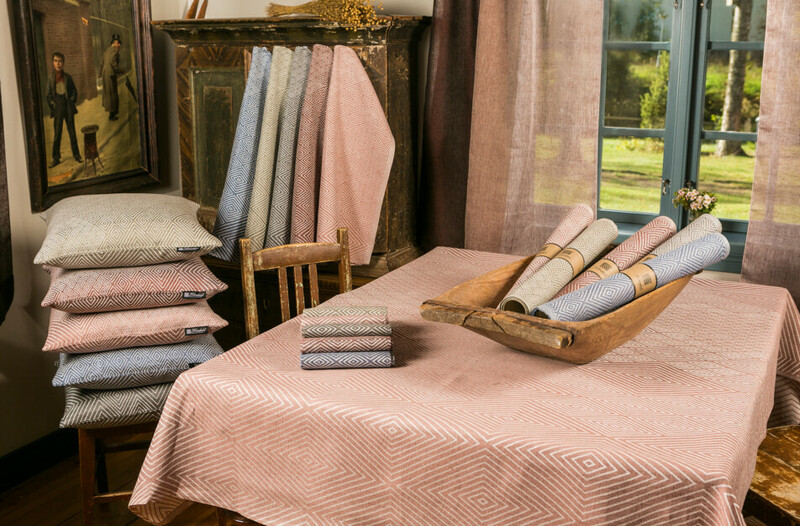 Tablecloth, runner, napkins, table mats, pillows hand towels in Misty Green, Misty Blue, Rust, Powder Pink, Jeans Blue and Graphite.